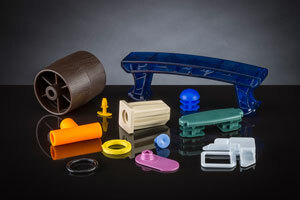 When businesses have a need for high volume, intricate parts, they turn to plastic injection molding. This process provides a high level of production while minimizing the cost per unit. The Rodon Group, an ISO 9001:2015 certified manufacturer, has earned a reputation for being one of the best in the industry, offering high-quality, low-cost solutions. With our globally competitive pricing, we offer you the opportunity for leveraging the benefits associated with using a domestic manufacturer while avoiding the risks of offshore sourcing. 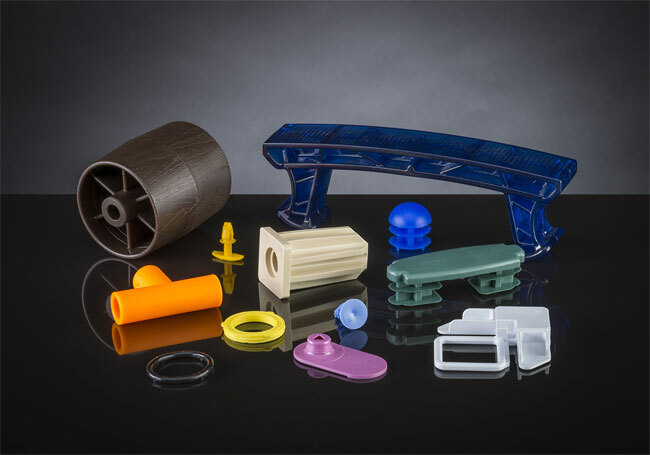 Specializing in close-tolerance injection molding of small plastic parts, we provide a total concept solution from design and tooling to production, fulfillment, and packaging. The combined effort of our designers and toolmakers results in molds that ensure quality, precision tolerances, and optimized cycle times. We have the capacity to mold parts with complex geometries and variations in wall thickness. Our maximum part size is 10” square, although our major concentration revolves around parts with smaller dimensions. We have material specialists on staff to make recommendations from among more than 100 commodity, engineering, and specialty plastics, including FDA, RoHS, REACH and NSF certified resins and HACCP-compliant materials. By purchasing resins in railcar quantities and storing them on-site, we have access to favorable pricing and can jump-start production on a moment’s notice. 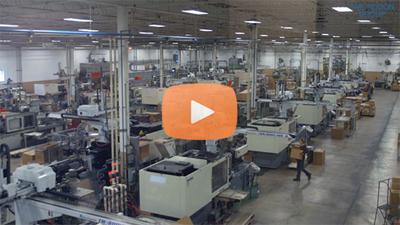 Our 118 fully automated presses are the heart of our operation. Ranging in size from 46 to 720 tons, they feature capacities from fractional to 107 oz. Hydraulic, hybrid, and all-electric technologies allow us to adapt production to the individual requirements of every application. Microprocessor-controls, self-diagnostics, and full-servo robotics allow us to operate 24 hours a day, 7 days a week for maximum efficiency. Using a combination of on-line vision inspection systems, SPC charting, as well as in-lab test, measurement, and inspection equipment, we ensure tolerances, color, physical appearance, and mechanical characteristics match your specifications. We offer custom packaging, 3D printed prototypes, safety stocking programs, just-in-time delivery, and a number of other additional support services. Let us help you with your next custom project. We'll turn your ideas into achievements.